The Performance Enigma. 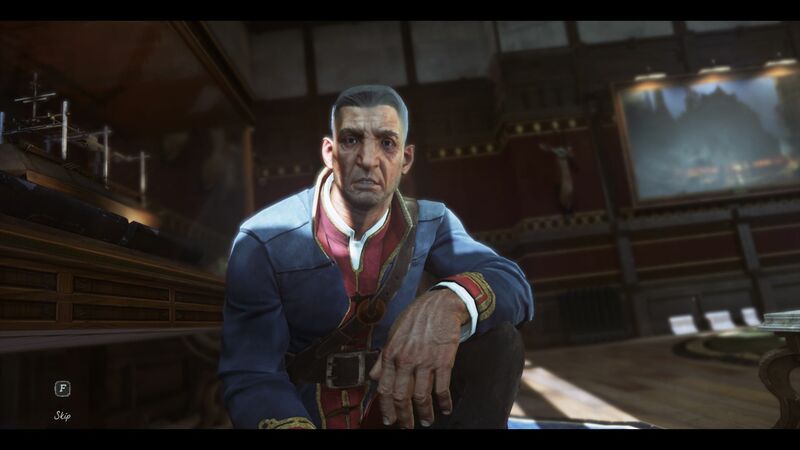 Gaming qualities aside: the stealth-action game, Dishonored 2, is not running as smoothly as one would expect. The PC version is suffering from performance drops. In the following review, we will check how the game runs on notebooks. 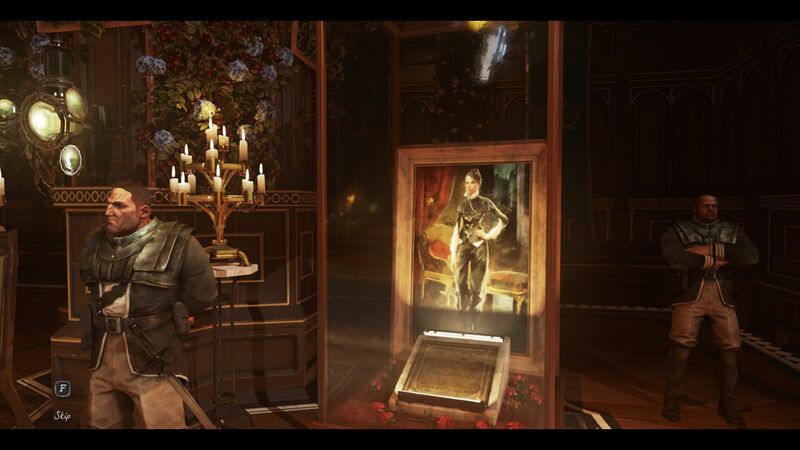 If you disregard the performance issues, the successor of Dishonored (2012) does almost everything right. No wonder, as the developers, Arkane Studios, have a long and illustrious track record, which includes Dark Messiah of Might and Magic (the author first played an "Arkane game" in 2002: Arx Fatalis). 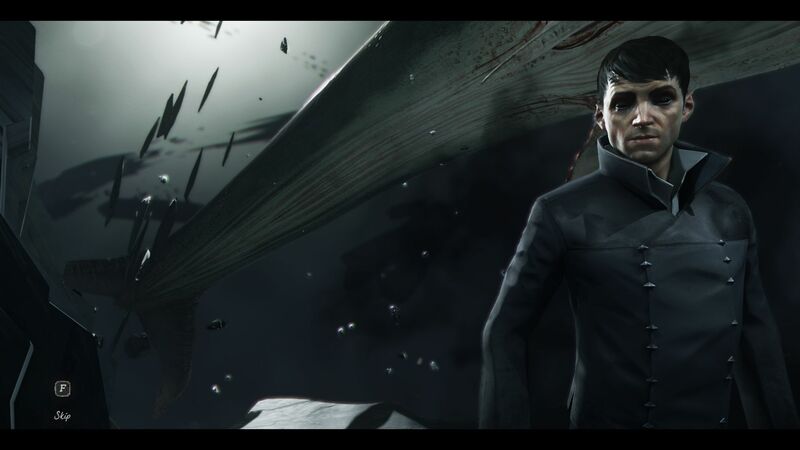 The French developer is due to launch the long delayed and temporarily cancelled reboot of Prey in 2017 (also known as Prey 2). 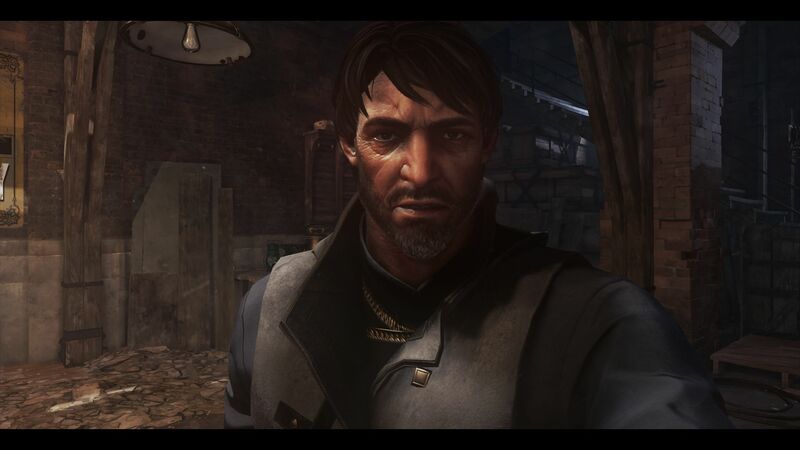 Dishonored is a special gift to gamers. Arkane Studios have produced an amazing game, which feels like a mix of Thief and BioShock. 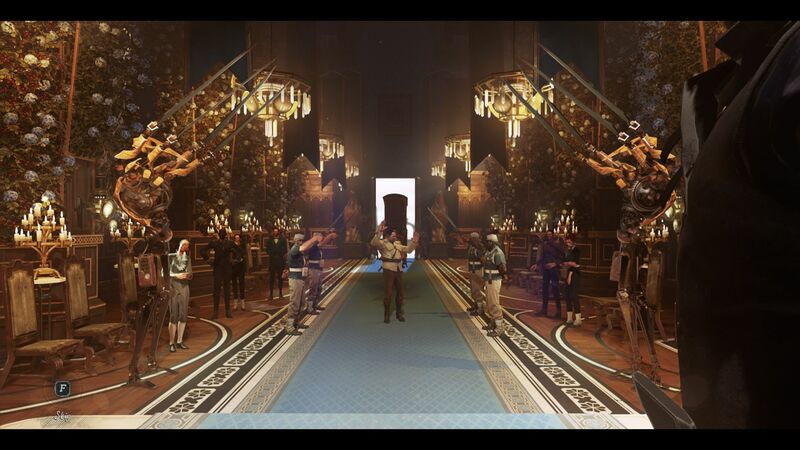 The gameplay and the world are impressive. 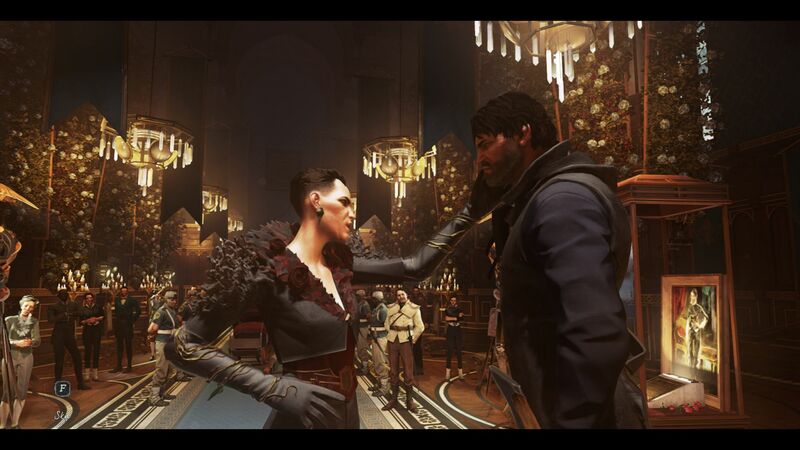 Dishonored 2 is based in a steampunk universe (like the predecessor) and draws many parallels to Victorian England (19th century). 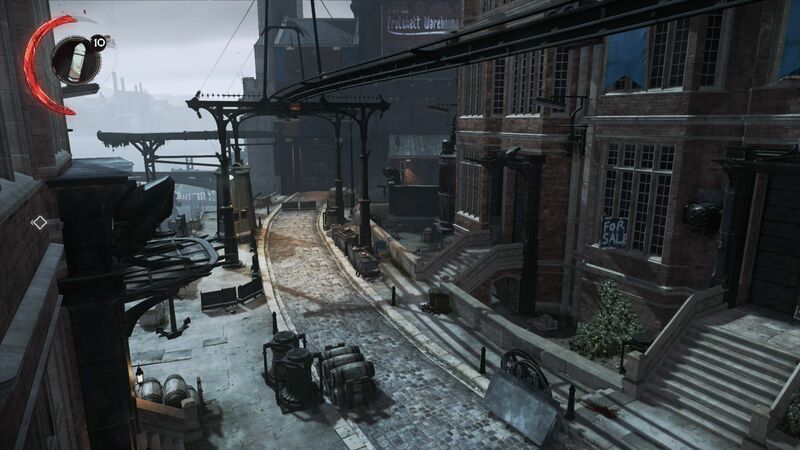 Thanks to their unique style, Dishonored 2 stands out in its category. 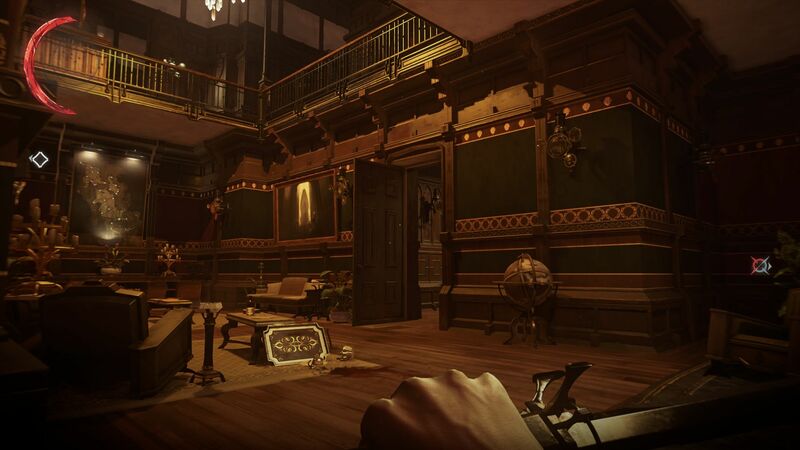 The story uses interesting themes, such as the loss of the throne and the hunt for a serial murderer. 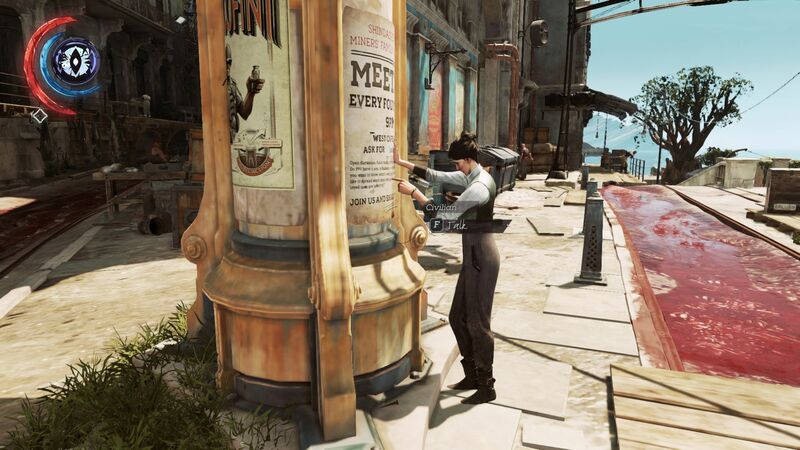 To understand the second installment of this series, you need to play the first game first (a copy of Dishonored 1 was next to our pre-ordered game at all times). 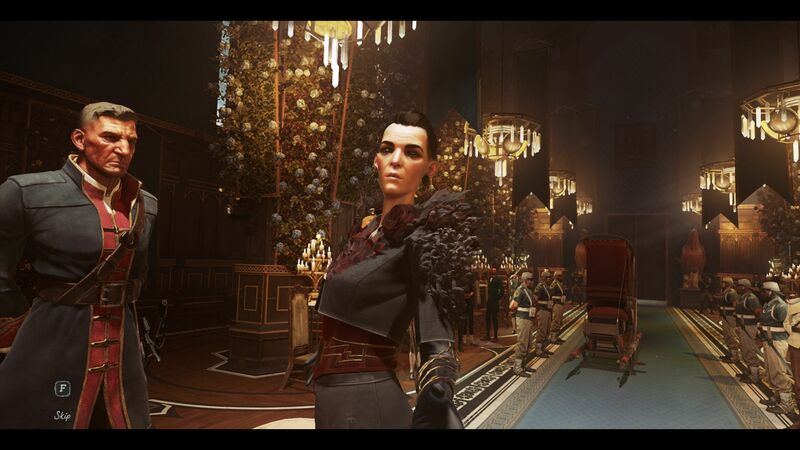 Few games of 2016 can match the extent of freedom the developer gives the gamer in Dishonored 2: if you want to run through levels and pummel virtual bad guys, you can. Stealth fans, who are not interested in bloodshed, will also find pathways. Role-play and fantasy fans will enjoy this game equally, as the developer has provided enough weapon upgrades and magic abilities. In fact, the offering seems almost endless. 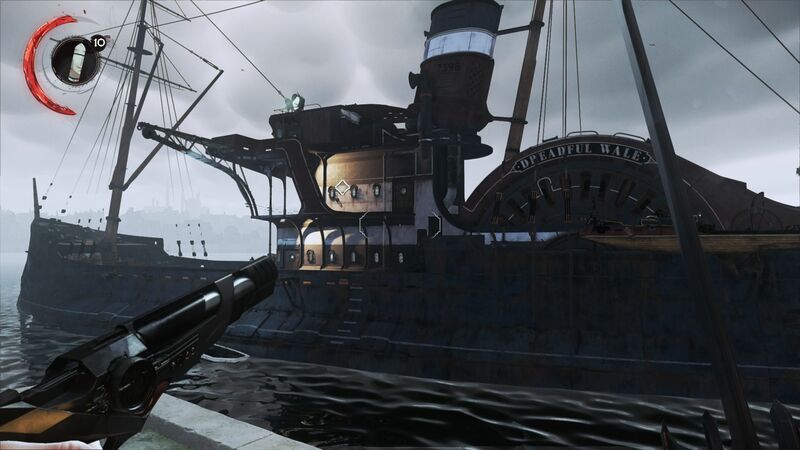 It is even more surprising that all the elements are well balanced (Dishonored 1 was less so) and fun to use. The game design includes many details, such as in-depth evaluations at the end of each mission, which will motivate gamers to try the challenge again with more stealth or to explore more areas (many collectibles and secrets). We can only criticize the AI, which, at times, acts blind and at other times, can be extremely vigilant. The pathfinding during fighting and search patterns seem a little erratic (including fixtures). 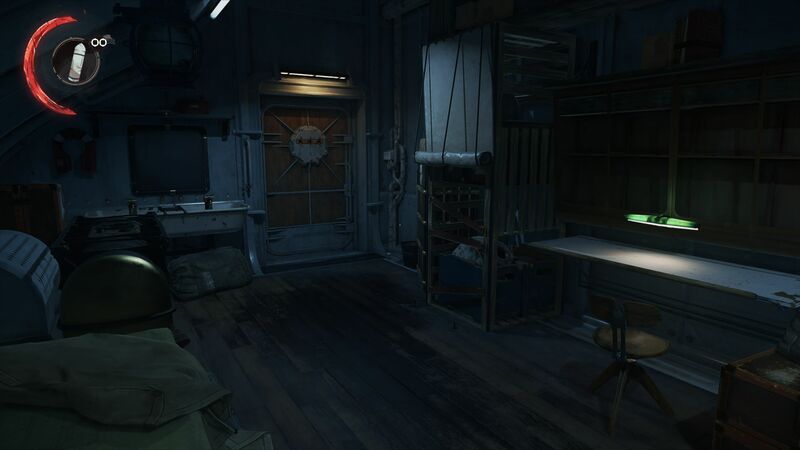 The game runs on the Void Engine, which is based on id Tech from id Software. 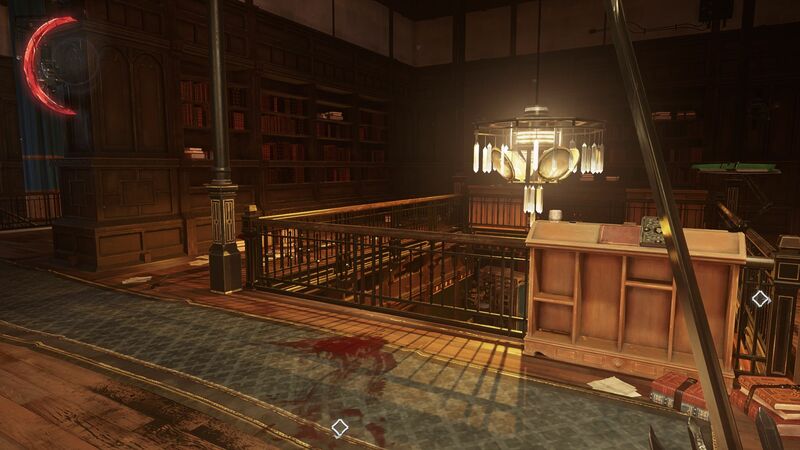 The latter has caused a lot of headaches in the past few years: loading textures (Rage, Wolfenstein: The New Order) and high system requirements (The Evil Within). Dishonored 2 does not have major texture bugs, but it does run into some performance problems. 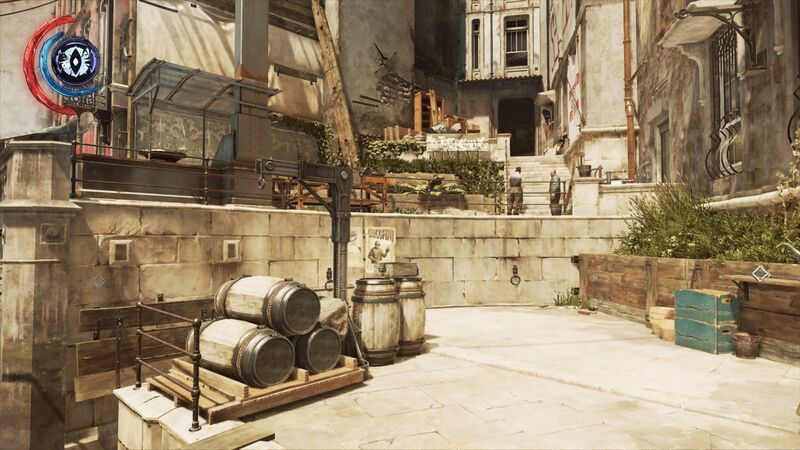 Even on high-end systems, the frame rate of the game drops drastically at times - regardless of the settings. Let us consider the GeForce GTX 1070 of the Asus G752VS. 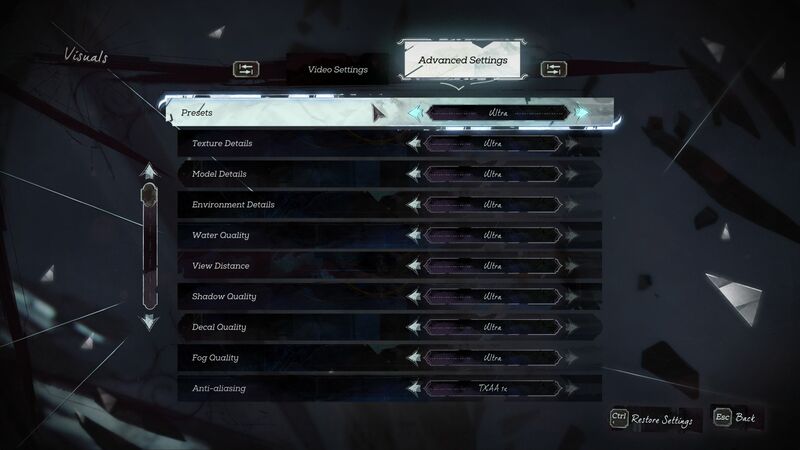 While the Pascal chip can run the game with max settings and 1920x1080 pixels at 60 to 150 FPS for most parts (very smooth), the game can suffer from occasional performance drops in outside areas (down to 30 FPS). This behavior is not only distracting, but also hard to understand. The frame rate barely rises when we lower the settings. In fact, the game looks much worse at lower settings, but yields very slight performance increases. On the other hand, Doom, the new release of id Software in 2016, runs much smoother. These problems may be popping up due to the DirectX base (id Tech usually uses OpenGL). In short: we are not happy with the performance. Unfortunately, this statement applies to many triple-A games of the last 1 to 2 years: Mafia 3, Batman: Arkham Knight, Just Cause 3 and so on. Thankfully, Bethesda, the publisher, has announced a patch for the problematic PC version of the game. 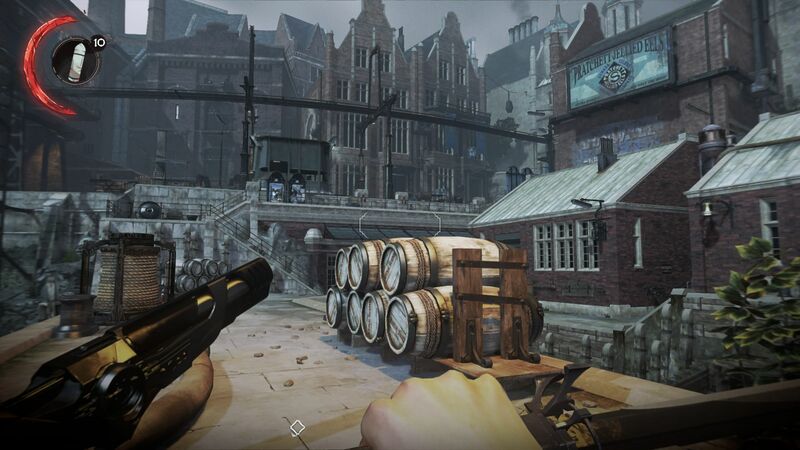 All benchmarks of this test were run on the "original" version of the game. Future measurements might not be 1:1 comparable as the patch may bring significant improvements. The game offers appealing graphics which, subjectively, we would classify as upper middle-class. 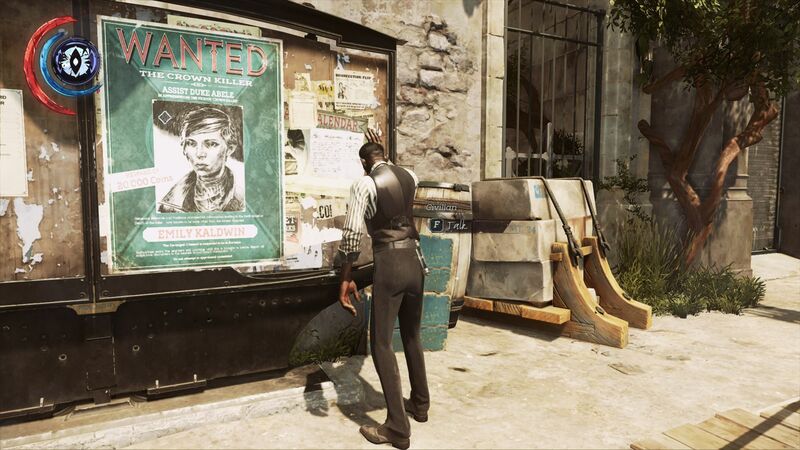 Gamers will accommodate the occasional blurry texture in Dishonored 2 as it fits right in with its comic graphics style. We love the lighting and shadows. Combined with the great, colorful environments, the lovely soundtrack and smart level design, the game is a special offering for any gamer. 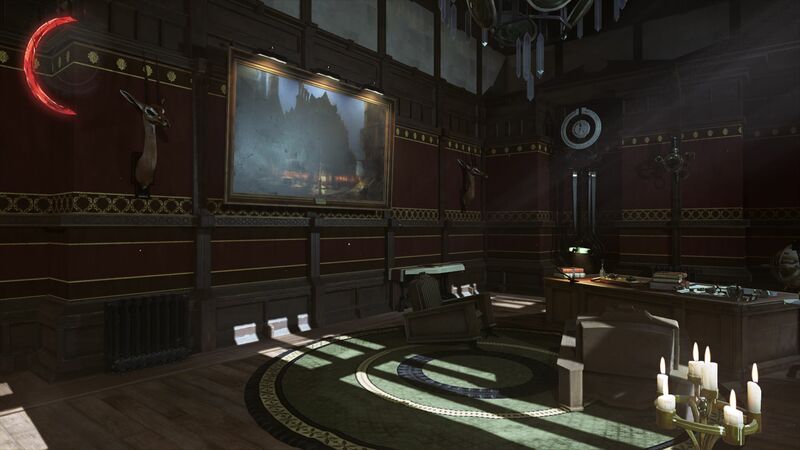 Arkane Studios should be lauded for their extensive options menu. 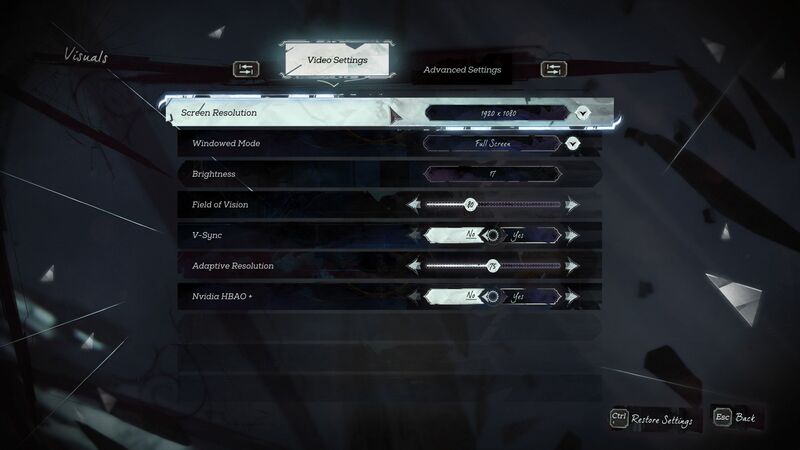 In "Video Settings", the developer offers various base settings to adjust the picture, brightness, field of vision, vertical synchronization and resolution (our 4K monitor had some issues with the scaling of the game). The HBAO+ option is only available on certain devices with Nvidia GPUs. The "Adaptive Resolution" left us puzzled, as every time the game started, it was set to 75 (50 to 100). 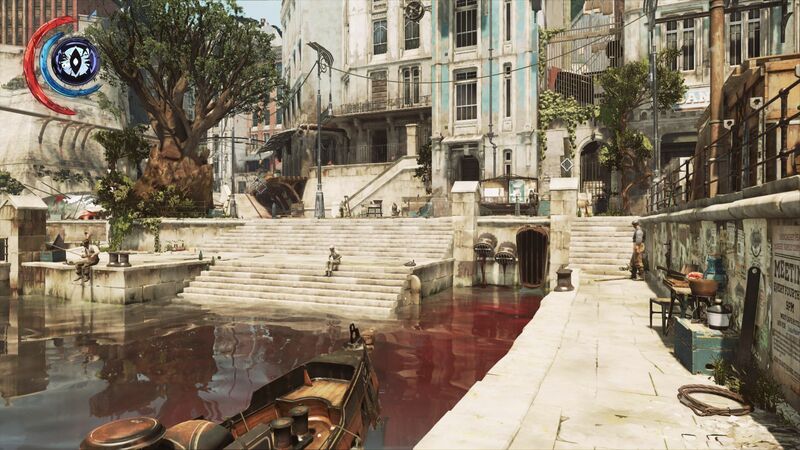 This indicates that Dishonored 2 uses a different resolution internally and scales this up depending on the needs of the gamer. 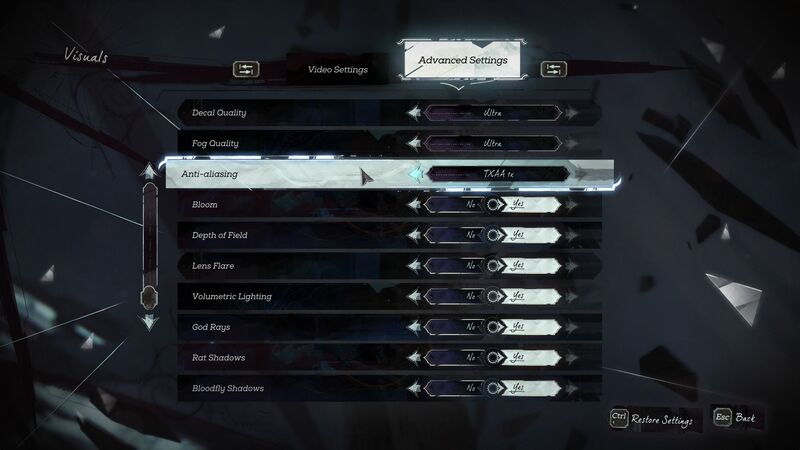 Tuning fans will be happy with the "Advanced Settings" section. Some of the 6 presets and 16 individual options can be regulated at various levels and others can be turned on/off. 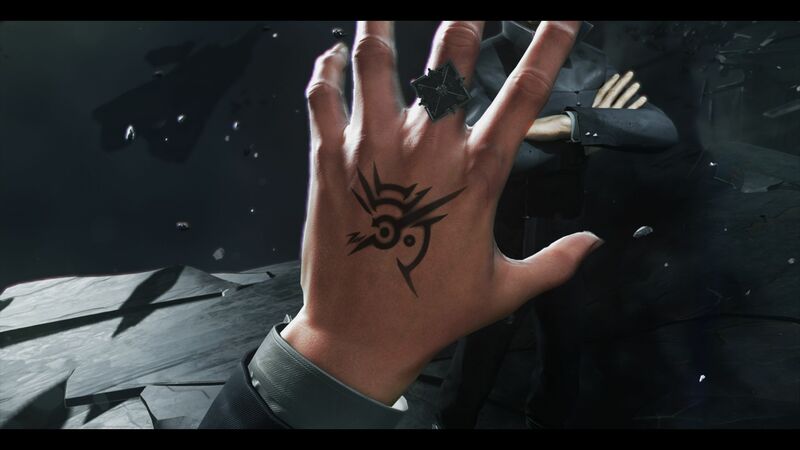 Anti-aliasing is offered in the form of FXAA and TXAA, which are two post-processing features. The former barely changes anything. In comparison, TXAA (works on AMD chips as well) does a decent job. Both features result in a blurry picture. Great: settings can be adapted without needing a restart. This is good news, as the intro videos cannot be skipped. 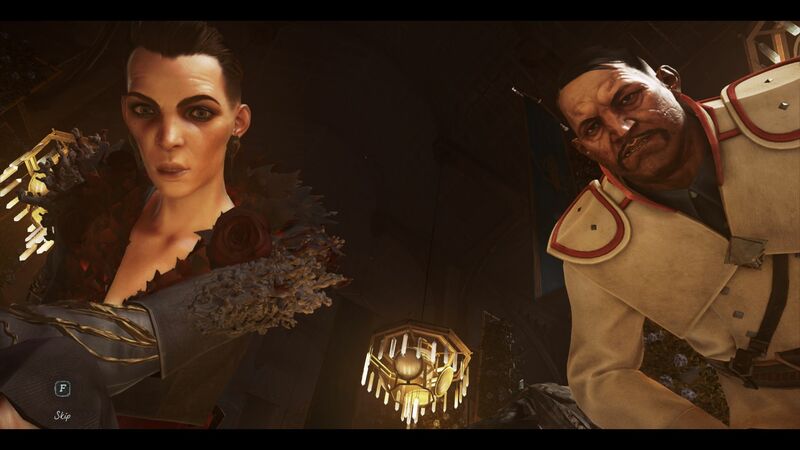 Dishonored 2 needs a long time to start for the first time. In-game the load times are surprisingly short. The game size is large: at 37 GB, the gamer will need to set aside a decent amount of space for the game. We did not have any crashes while testing the game. 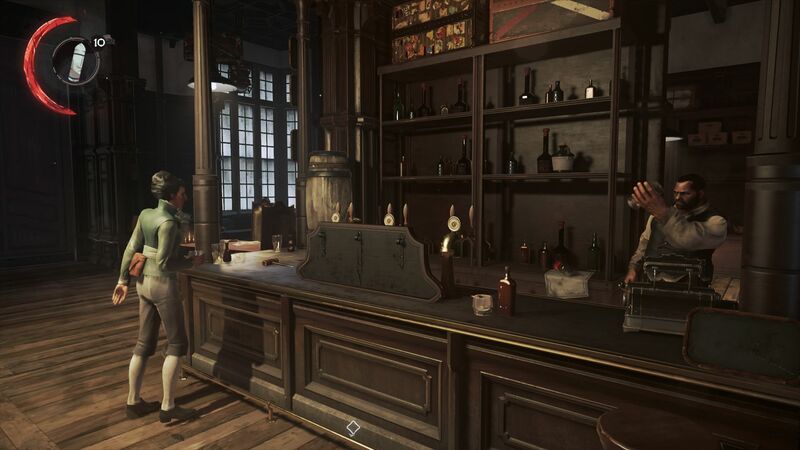 The only exceptions were Intel GPUs, on which, Dishonored 2 freezes (this bug can be reproduced). However, these GPUs are far too weak to run the game anyway. 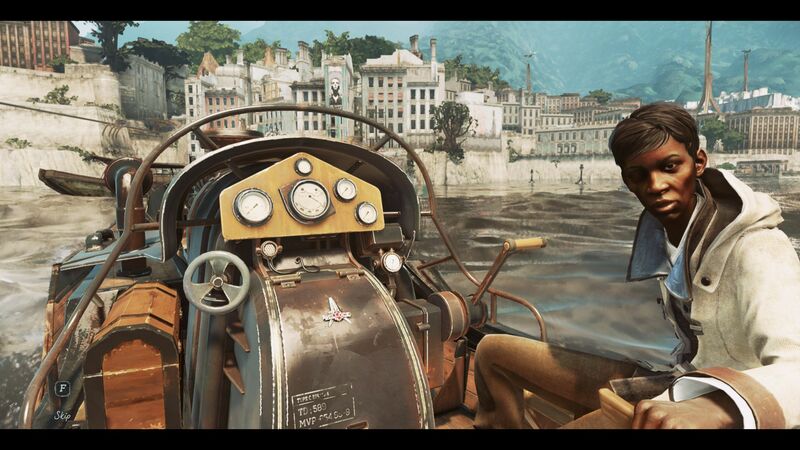 Although our benchmark sequence is quite demanding, it is not able to test the game to its limits. However, it did find a lot of performance drops. 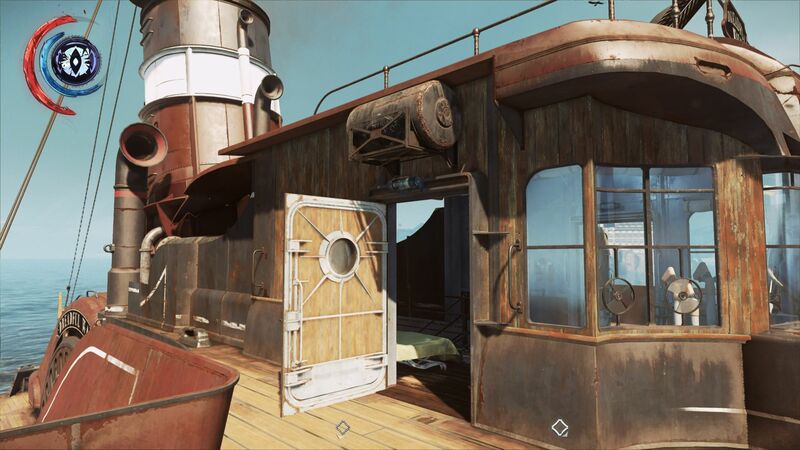 After the main character leaves a ship at the port of Karnaca (mission 2, "Edge of the World"), we record a sprint of around 30 seconds from the motor boat along a pre-determined route (see video) with the Fraps tool to determine the average and minimum FPS. The game needs relatively lower FPS than other action games in the Ego perspective to run smoothly. This is especially true if you want to sneak around. 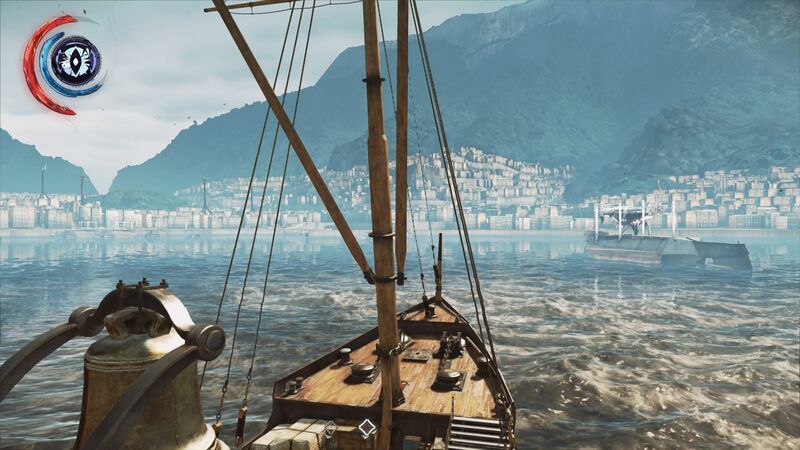 We believe Dishonored 2 runs comfortably with at least 35 FPS. Passionate gamers, who expect 60 FPS or more consistently, should avoid this game (till perhaps the patch). Due to the high system requirements, few notebook users will be able to enjoy Dishonored 2. Entry-level graphic cards, up to the GeForce 920M, cannot run the game at all. Middle-class models, such as, the GeForce 940M, are also overworked at minimum settings. At 1280x720 pixels and the preset "Very Low", a GPU of the upper mid-range (like the GeForce GTX 950M) is able to scrape through. For a resolution of 1366x768 pixels and a "Medium" preset, the gamer will need (at least) a GeForce GTX 960M (better with a GTX 965M). At FHD (1920x1080 pixels), the laptop will need a high-end GPU. There is little difference between high and max settings (in terms of graphics and performance), which means that the gamer will be happy with a GeForce GTX 970M (better with a GTX 980M) at the "High" and "Ultra" presets. 4K forces almost all notebooks to their knees. 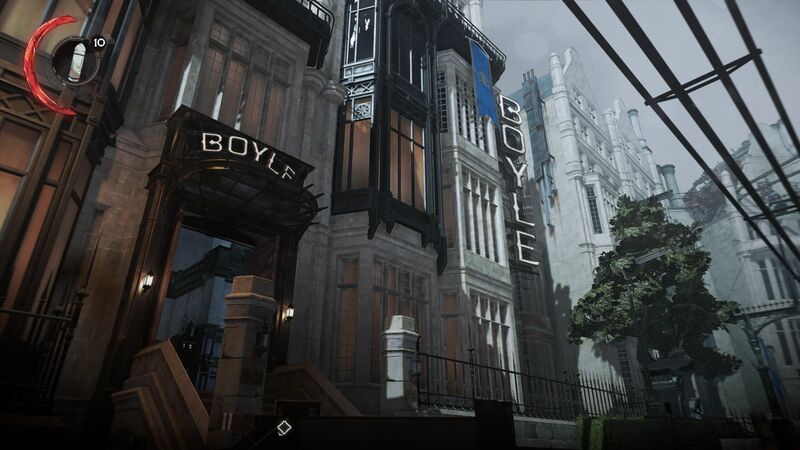 At 3840x2160 pixels, the game will only run reliably with a GeForce GTX 1070 (better with a GTX 1080). The CPU power does not seem to be a major bottleneck.